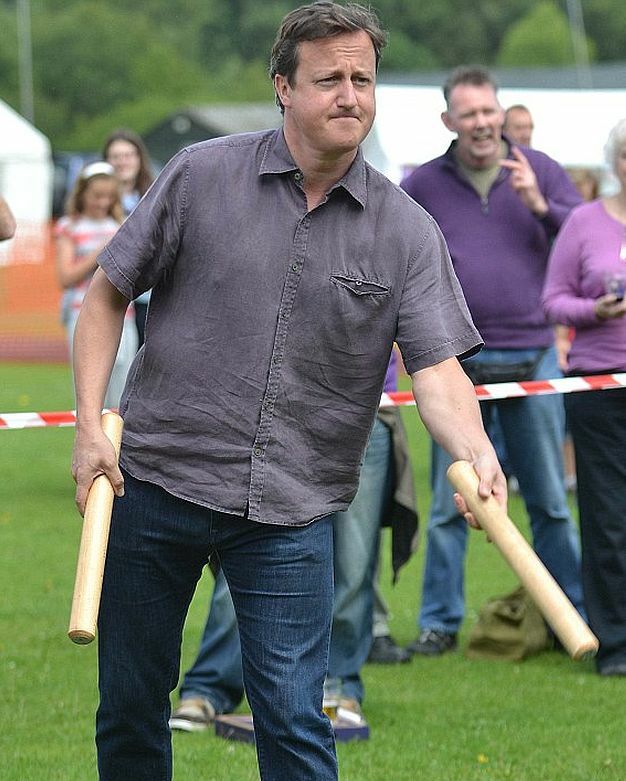 Even former British Prime Minister David Cameron tried his hand at the game during a visit to the first Aunt Sally World Championships held at a beer festival in the Cotswolds a few years ago. 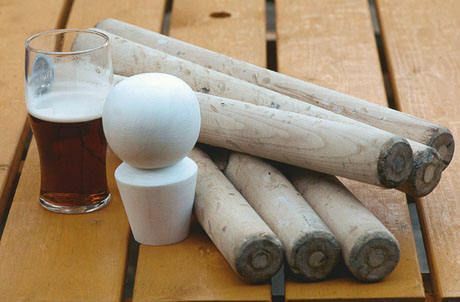 Aunt Sally is played primarily at pubs in a clutch of English counties, including Gloucestershire, Warwickshire and Oxfordshire. 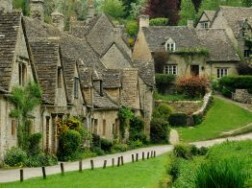 Pubs from across the north Cotswolds enter teams in the Chipping Norton Invitation Aunt Sally League or the Wychwood Aunt Sally League. 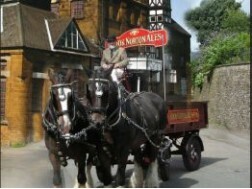 The Chipping Norton League was formed in the 1960s and is still going strong today. It currently supports three divisions with 23 teams and over 200 people taking part in league and cup competitions each year, with games played outdoors on summer evenings. 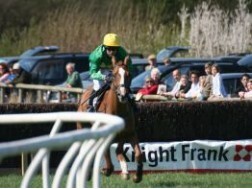 The season runs between April and September to take advantage of the better weather, though this normally means getting wet on a number of occasions during the season. Dating back at least as far as the 17th Century, the game is played by players throwing batons at a stubby white wooden skittle known as a doll. An Aunt Sally was originally a figurine head of an old woman with a clay pipe in her mouth, or subsequently a ball on a stick. The object was for players to throw sticks at the head in order to break the pipe. The game bears some resemblance to a coconut shy or skittles. If a player fails to score in a leg, it is called a blob with the ultimate embarrassment of a three blob game. It is a custom that the winner of the fourth (beer) leg is bought a drink of their choice by a member of the opposing team. 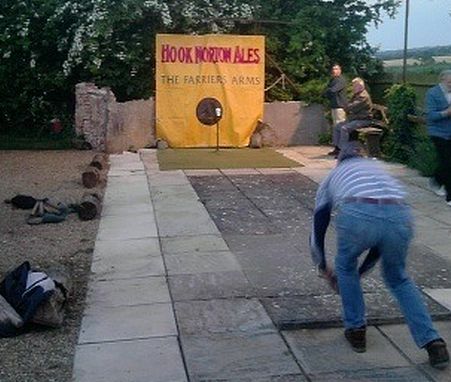 The first World Aunt Sally Championships were held at the Charlbury Beer Festival in 2011 where it has taken place every year since. The inaugural Aunt Sally world champion in 2011 was Trevor Dyer, from Paxford, near Chipping Campden, and for the next two years another Paxford resident, Steve McAteer, carried off the trophy. 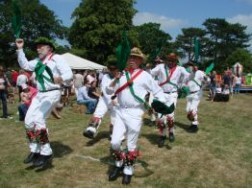 However, the 2014 championships finally saw an Oxfordshire player take the world championship title at Charlbury Cricket Club, which hosts the annual beer festival. Henry Johnson, from Yarnton, who plays for the pub team at the Black Prince in Woodstock, saw off Abingdon's Barry Parker in a hard-fought final at the end of June. 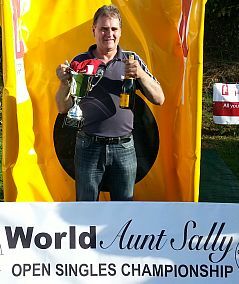 Although being Aunt Sally world champion isn't quite as financially lucrative as being the best in the world in other sports and games, Steve McAteer, the champion in 2012 and 2013, told Loving the Cotswolds that his achievement had won him a fair bit of attention in the local media. "It got me on the local radio station and in the local press and in the Oxford Mail," said Steve. "I didn't come across Aunt Sally until I was 30. It takes years to become a good player. It gets under your skin - you are always trying for the perfect shot." "The problem is we are all getting older and the youngsters aren't so keen to play and pubs are shutting all over the place." 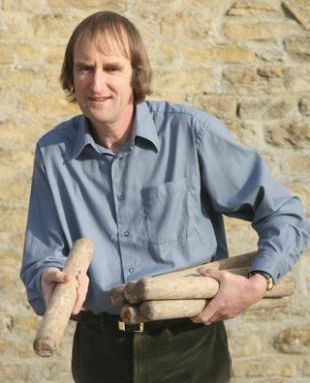 Another leading Aunt Sally player from the Cotswolds is painter and decorator Steve Arthurs, from the village of Over Norton, near Chipping Norton, who is known in local Aunt Sally circles as "The Legend" because of his record-breaking performances. He is one of a handful of players to have completed the rare double of a maximum 18-doll haul, both indoors and outdoors.